I was looking for a Morrocan inspired design to create with The Lacquer Lab's Marrakech collection, and the Quatrefoil technique caught my eye so I decided to give it a go! I've also got swatches of the whole collection! At first glance, this technique looks difficult, but it's really not! Just a little time consuming if it's your first go (this was most certainly my first go and it took quite a while!) but the end result is really pretty and all you need is a dotting tool or two. I must admit though, it looks better in real life...the camera zoom doesn't really do it any favours. I'm not sure who first came up with this, but I used this tutorial from Christabell Nails to help me along. I used two colours from The Lacquer Lab Marrakech Collection - Karma Sutra and Rock the Kasbah. Lastly, Fountain of Youth is a grey-green jelly base with gold glitter. It's quite sheer so you'll need around 4 thin coats, but the result is a lovely glimmering jelly sandwich! I'm a big fan of these shades, I think I might like them even more than the Miami polishes! The Marrakech Collection is available only from thelacquerlab.com, priced £7 a bottle or £29 for the full collection of 5 bottles. I love the design! Would you maybe know of a stamping plate with a similar design? I'm sure I wouldn't be able to freehand this. Love the nail art you create! 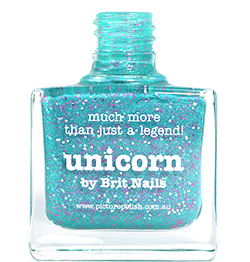 I will try it on my nails! Thank you, you should definitely try it! I have not heard of this brand before, but their polishes look lovely. And that nail design is on the spot, love it! I love the color combination and the final result of this mani looks just great! Gorgeous polishes and the stamped nails look fabulous! Thank you :) not stamped though, I used a dotting tool! Site et application qui permet de trouver un taxi ou une agence a proximité geolocalisé en Algérie, Maroc et Tunisie.